Kyabje Taklung Tsetrul Rinpoche is the third incarnation born in Nakartse in Yardrok. His father’s name was Namgyal Dorje. Mother was Dorje Dolma. Born with all the auspicious signs in 16 Rapjung Me Yoe (the fire rabbit year, 1926 according to Western calendar), the 9th Dadrak Rigzin Chenmo (called Thubten Choewang Nyamnyi Dorjee) recognized him as the reincarnation of the previous Tsetrul Rinpoche. When he was five years old he was brought to the Taklungtse Dratsang. Then he took refuge vows from the previous Dodrak Chuzang Rinpoche, Pema Ngedon Tenpai Nyima, giving him Shedup Nyingje Thinley Wangpo as his name. 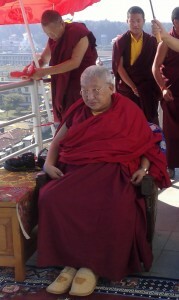 He was then enthroned to the right position as Yangsi of Tsetrul Rinpoche. His teacher Kunsang taught him reading, writing which he learned without any difficulties and then onwards he moved to main Dorje Drak monastery where he learned all the practices of Northern Treasures (Jangter) and become an expert. 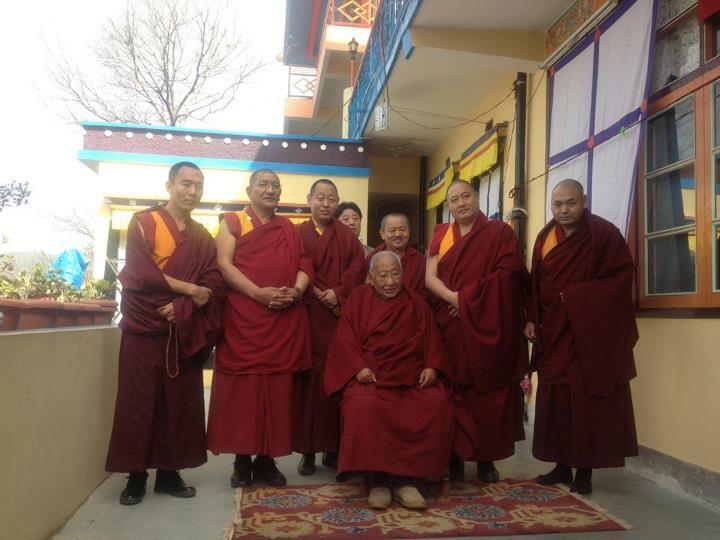 He received novice (Getsul) ordination from Minling Dorzin Namdrol Gyatso. Later on from Minling Khenchen Ngawang Khyentse Norbu Rinpoche he got the full ordination (Gelong) vows. Ever since he has been receiving empowerments, transmissions and teachings from all the various prominent masters within the Nyingma tradition thus becoming a master of all those teachings himself. Kyabje Tsetrul Rinpoche and Kyabje Penor Rinpoche have close respect and connection with each other. Kyabje Tsetrul Rinpoche gave the full Jangter (Northern Treasure) empowerments to the Sangha of over 3000 monks at Namdroling Monastery upon request from Kyabje Penor Rinpoche. 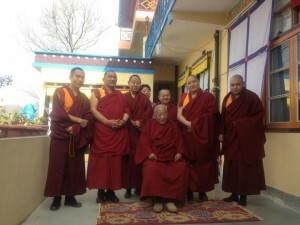 He has visited Namdroling on a few other occasions also to perform major ceremonies. This entry was posted on Saturday, March 24th, 2012 at 21:53	and is filed under All Posts, Nyingma. You can follow any responses to this entry through the RSS 2.0 feed. Both comments and pings are currently closed. Thanks for posting the details on enthronement of H.H. Taklung Tsetrul Rinpoche as the 6th Head of Nyingmapa school, in India.I felt myself being very lucky to be blessed by the His Holiness at Dorje Den during the Nyingma Molem Chemo 2013 which I attended, as usual since 2007 onward after my retirement from Govt.service of over 30yrs.